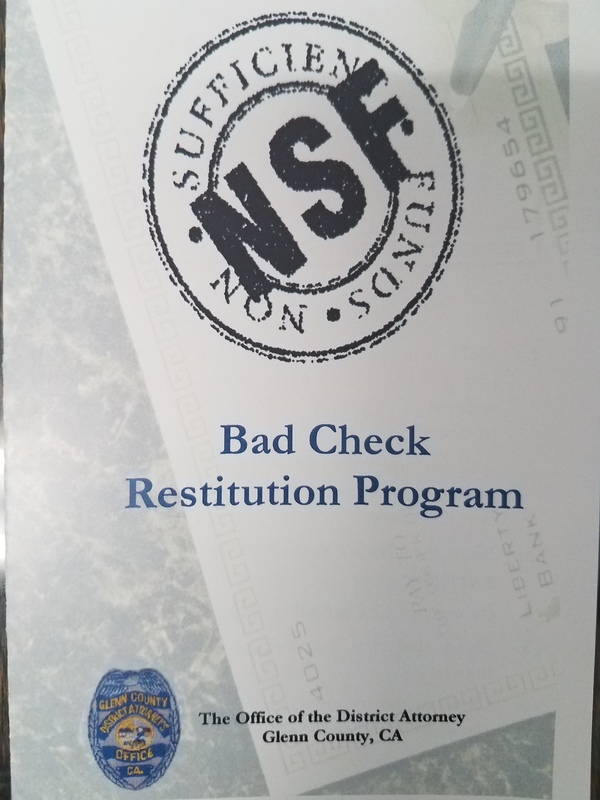 The company that was in charge of the administrative services for the Glenn County Bad Check Restitution Program will no longer accept phone calls or referrals for new “bad checks” from consumers or merchants. Over the years, Victim Services, Inc. has noticed the volume of checks has decreased significantly as checks are used less by the public as a form of payment. Additionally, merchants and banks have initialized their own victim protections making it less likely that a person is able to get away with writing a bad check. If you believe you have been the victim of a crime, you should report this incident to your local non-emergency law enforcement officers to make a report.